Dedicated to women’s best friend diamond, this museum is a unique experience on your Cape Town visit. You can witness a 3 billion year old story unfold from a diamond’s formation to the final polished stone. Other Ticket prices: Children and pensioners have free entry. Tips & Warnings: Guided tours are available. 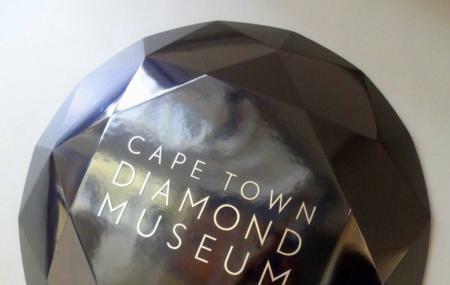 How popular is Cape Town Diamond Museum? People normally club together Two Oceans Aquarium and Victoria And Alfred Waterfront while planning their visit to Cape Town Diamond Museum. I went to the museum on a rainy Sunday. The lovely Jodi gave me the most informative and interesting private tour. I learned a lot about the history of diamonds in Africa, and diamonds in general. Would highly recommend visiting the museum. The visit is complimentary. Such a unique experience! And wealth of information about diamonds! Loved it! This museum was rather small but cozy and my personal guide was lovely. Great guide in which he started the story of the diamond n how did it go from 2500 b.c till today n how diamond was discovered in S.A.